Actually, there are a few reasons why solar panel prices are down so much. But technological advancements in solar panel technologies are certainly a big one. We wouldn’t be where we are today if it weren’t for the technological advancements made to solar cells and solar panels over the past couple centuries, and especially over the past few decades. Notably, solar technological advances have not just come about due to solar research and development. 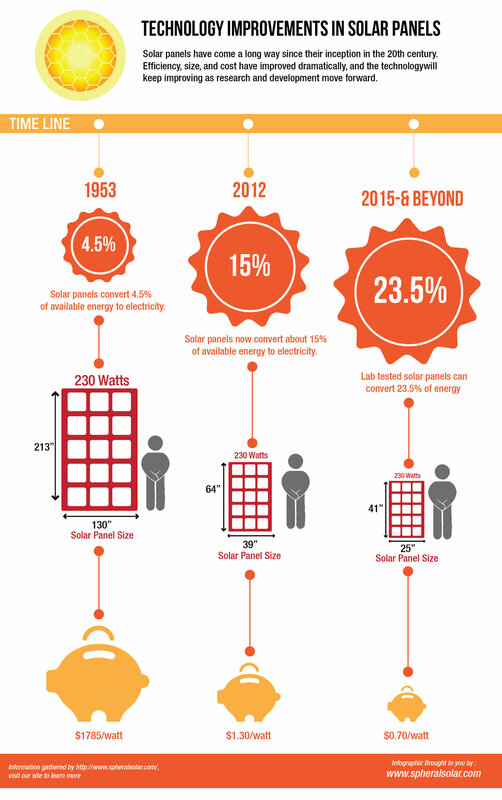 In actuality, solar technological advances largely come about through increases in production. As with computers and many other technologies, as solar panel production goes up, manufacturing efficiencies are achieved, technological advancements are made, and solar technology costs come down. In other words, this trend is just starting — the cost of solar panels can come down much further, and it is projected to come down much further. However, an important thing to note is that there are numerous solar incentives available today that may not be available as solar costs come down in a few years. So, now is probably as good a time as any to go solar and save a ton of money!